It’s been a while a long time since part three of the #dram16 stories, but better late than never, right? *ahem*. Well, #dram17 is around the corner so no better time than the present to relive some memories! The best stories in life happen by accident. We weren’t supposed to do anything that morning. 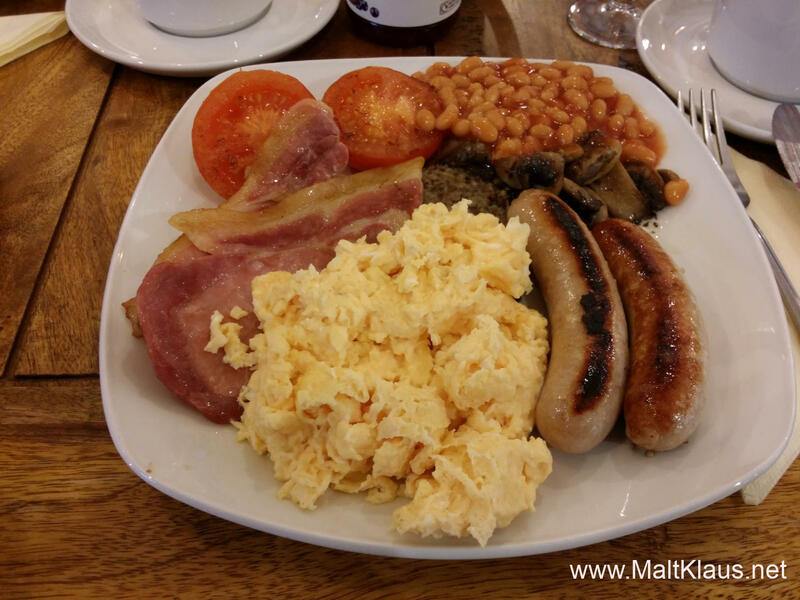 My brother and I didn’t get tickets for any exciting events so our plan was to drop our friend Jo off at Ballindalloch distillery and then drive on to Glenlivet for a breakfast, for which we had bought tickets. Who buys tickets for breakfast anyway? Crazy! Getting out of the car at Ballindalloch distillery we were greeted warmly by Mr. Russell, the distillery’s founder and owner of the Ballindalloch Estate. 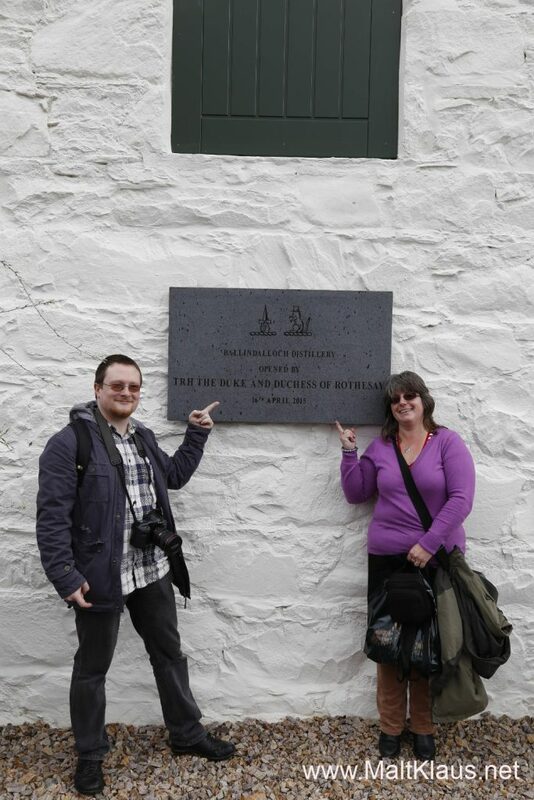 As we later heard, he personally greets everybody who makes the effort to visit his distillery. He’s even there every morning at 7 a.m. to meet Colin, the distiller. Feeling properly welcome, my brother and I couldn’t resist asking whether we could “hop on” the tour since we were already there and all. Long story short – and a popular vote by all of those who had booked onto the tour later – we were on and found ourselves in the distillery’s comfy lobby, sitting in armchairs, a cup of tea in our hand and listening to the brilliant and ever so cheeky “tour guide” Brian telling us everything there was to know about the distillery. This surprise tour would turn out to be a real highlight of the entire festival – way over two hours of in-depth, completely un-rushed, un-branded, no-BS enjoyable time. Brian Robinson showed us around the place. Malt mill in the background. 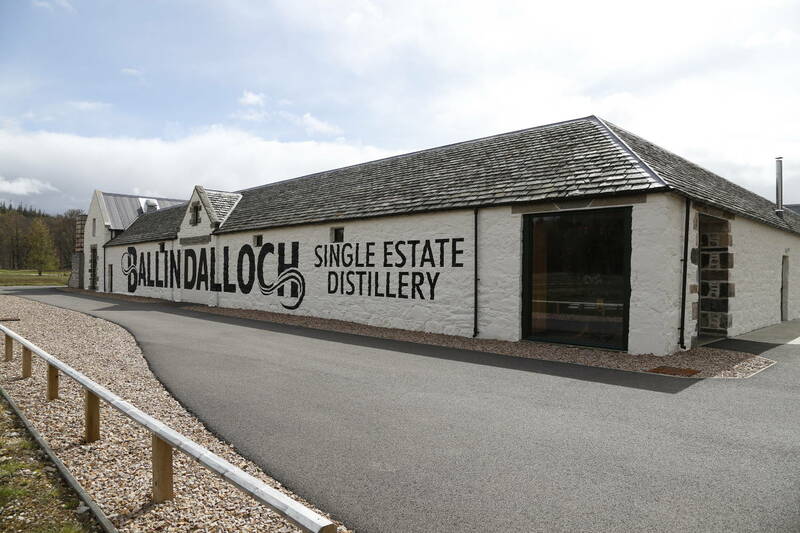 The story of Ballindalloch distillery starts with a round of golf on the estate. In a chat with Mr. Russell, Richard Forsyth, the man behind the company producing stills and other equipment for the distilling industry, the idea was brought up to turn the listed former farm buildings next to the golf course into a distillery. A few years of building the distillery by local craftsmen and some grant money later the first spirit flowed on the 22nd of September 2014. This means the first spirit to be legally called whisky will come of age later this year in 2017 – but unlike others they have no intention of bottling anything just yet. The first whisky will be bottled when it’s ready – probably at around 8 years old, or even older. 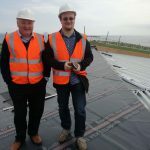 That’s definitely the right way to go about it – if one has the necessary funds to support production for so many years without any substantial cash flow. 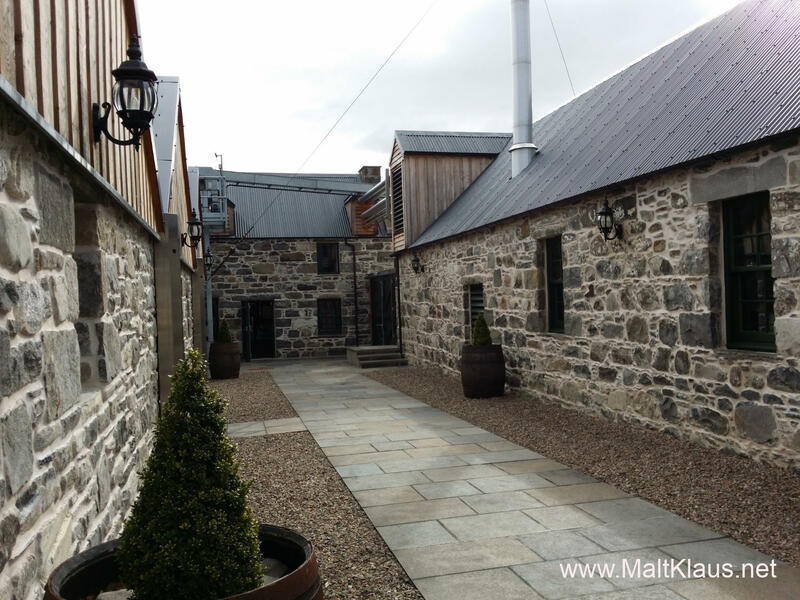 Being build in small, former farm steadings, which couldn’t be altered too much being listed buildings, the distillery is small, very small, not unlike Kilchoman on Islay. How small? 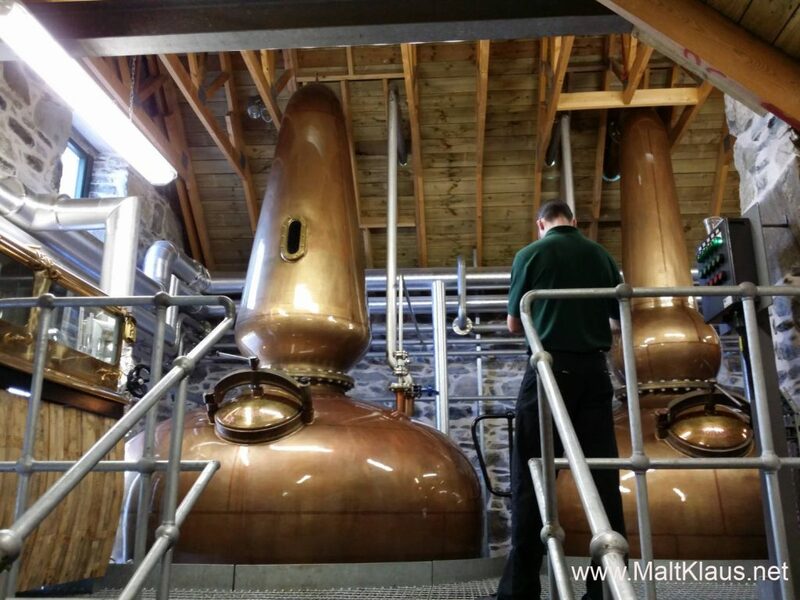 They produce about 600-620 litres of spirit per day (filling a bit more than two hogsheads). Glenfiddich needs 2,8 days to produce what they make in a year. That small. The main production from milling to fermentation and distilling is done in one long building and there really isn’t a lot of space to manoeuvre a group of whisky geeks around (especially with two extra people squeezing in, ahem), but we managed. To produce their whisky they go through 300 tonnes of their own malt a year, grown on 50 acres of land on the estate and malted at Bairn’s in Inverness. 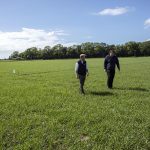 The draff is fed to the Estate’s herd of Aberdeen Angus cattle and the pot ale is used on the Estate’s fields as fertilizer, so nothing goes to waste, which is always a good approach. 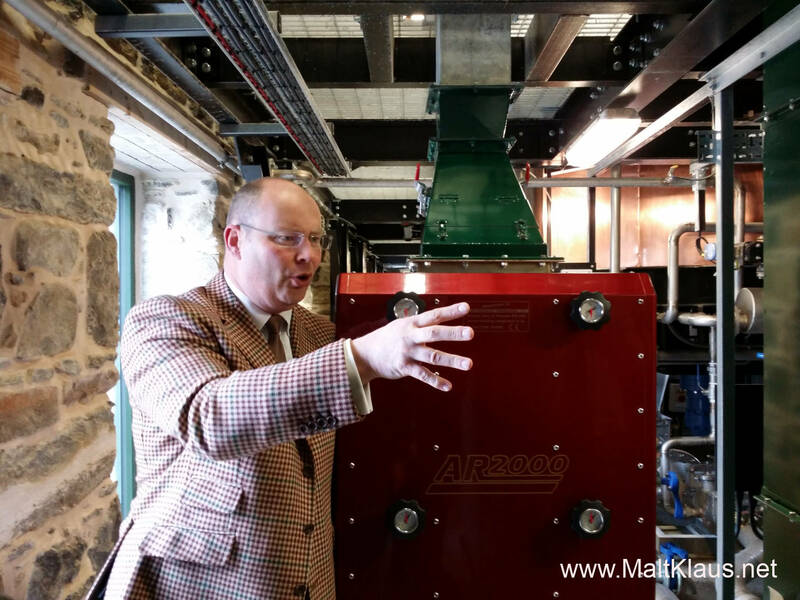 Ballindalloch is a modern distillery, but, as Brian told us, there is only one piece of automation, and that’s a weight sensor in the grist hopper, the rest is operated by hand with no less than 272 valves (in case you needed to know). 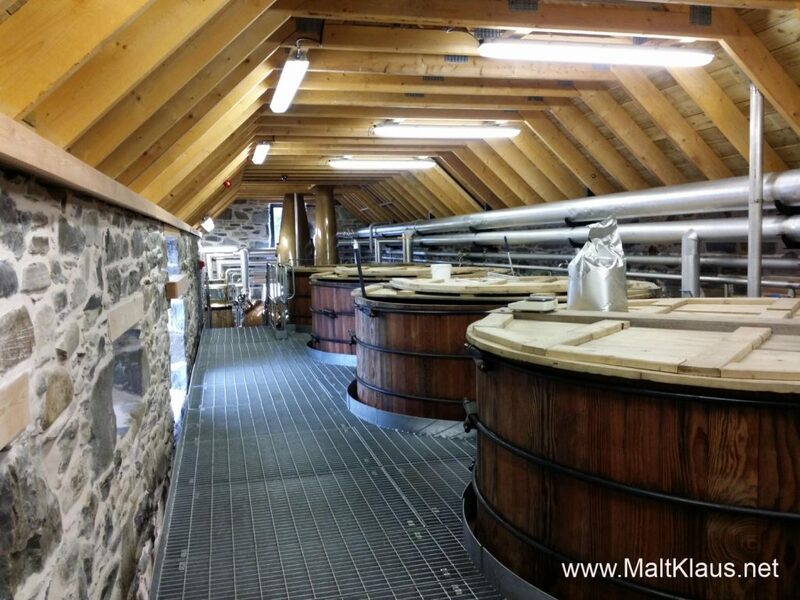 Due to the restraints in building size, everything is small, from the mill (1 tonne per batch) to the mash tun, the washbacks (three wooden ones at 10.000 litres each) and the stills (5000 litres wash still, 3300 litres spirit still). Fermentation times are interesting, they are a mix of 66 and 114 hours, which is quite a bit longer than the industry standard resulting in a more fruity, estery style. The casks are filled with spirit from both fermentation styles mixed together. Fermentation time isn’t the only differentiating factor for Ballindalloch, I also noticed the stills being run very slowly – trickle distillation speeds as you can see in the video below. 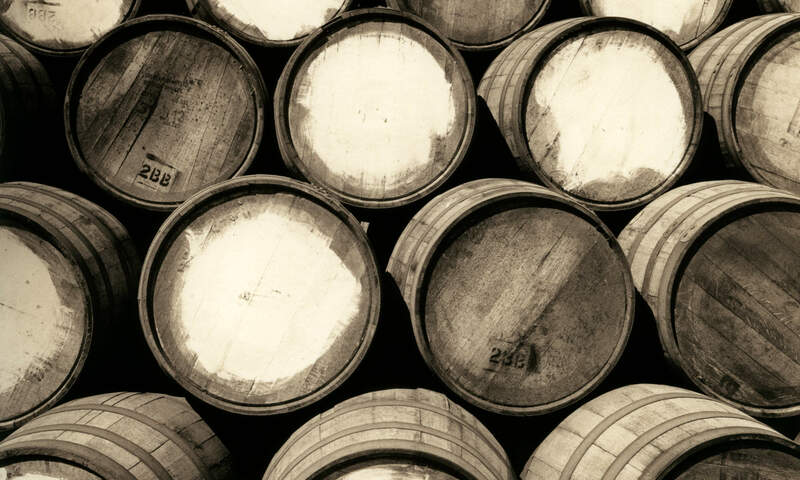 Talking about casks: A week’s worth of production fills about 15 barrels (or 12 hogsheads or 5-6 sherry butts). Contrary to what other newly established distilleries are doing, Ballindalloch doesn’t fill anything smaller than a barrel, no quarter casks, no blood tubs. Only full-time, full-size cask maturation is good enough. Due to the space restrictions, they can only store so many casks directly on site, so they now have a second warehouse nearby, which will last them another three years until it’s filled (probably only two more years at the time of writing). All of this touring through production areas makes for a thirsty mouth, so we were led into a very comfortable and unbranded tasting room filled with memorabilia and decorative pieces from the Estate. There’s only one problem: What do you serve as a distillery that doesn’t have any product of their own yet? Well, there is the obligatory taste of new-make spirit, which I found to be of excellent, clean, fruity quality. No proper notes, sorry, I only took very small sips as I was the designated driver for the day. 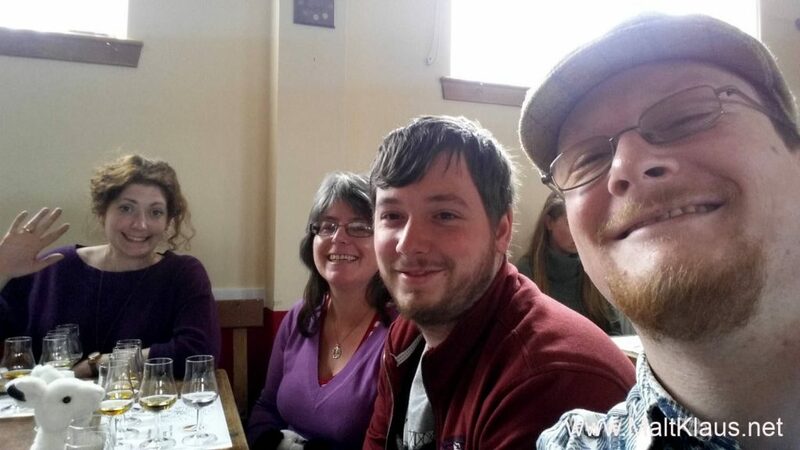 Due to the family connection with the distillery, the Estate has the right to buy a cask of Cragganmore every year, so Cragganmore from the family reserve was what we were served. A 1984, a 1985 and a 1986, all stunning drams (I still have the wee sample bottles at home to revisit them at some point in the future). While we were happily tasting away (or just nosing in my case), Mr. and Mrs. Russell joined us again, taking the time to exchange a few words, honestly interested in our opinion, which was another very welcome and well-received gesture as I’m sure they have a lot going on in their daily schedule. 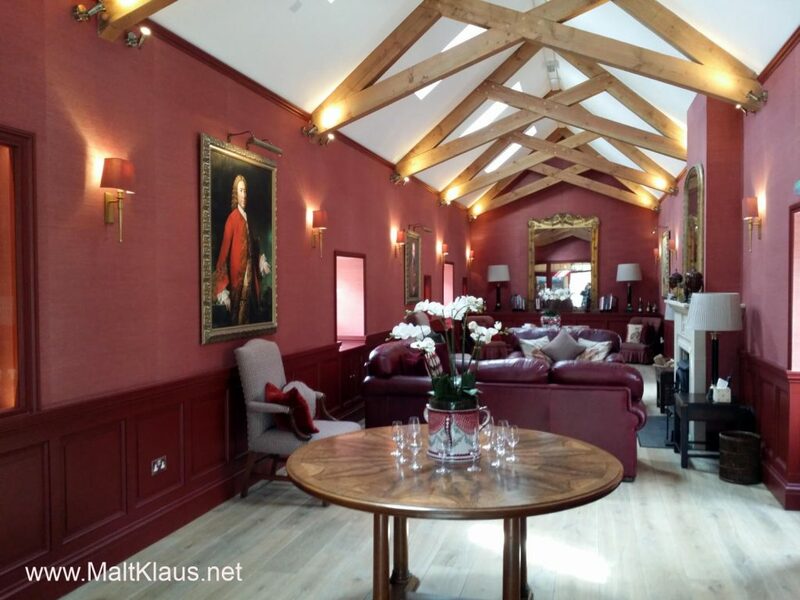 A very comfy setting for tasting whisky! All in all we couldn’t have spent a better morning in Speyside. A very, very recommendable tour, in-depth, personal, filled with passion and pride, completely different from the usual shallow, highly branded, rushed, run-of-the-mill tours you usually get as a tourist at the big distilleries. A huge thanks goes out to Mr. Russell and Brian for being so open and flexible and letting us hop on to the fully booked tour! After our “breakfast” we had a bit of time to kill until our next event, so we decided to follow the road towards Tomintoul distillery to see whether we could pop in for a wee look-see. 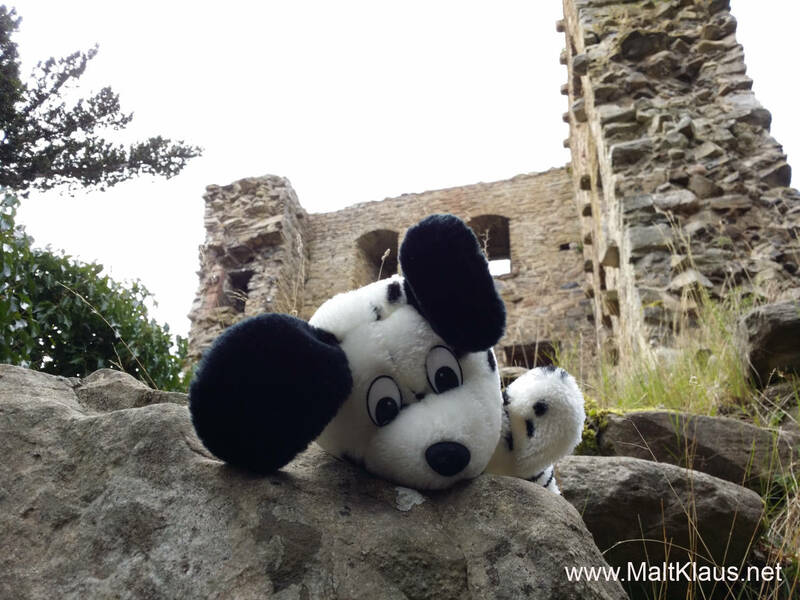 Well, we couldn’t, but a walk up to the ruin of Drumin Castle was just what we needed to stretch our legs before we set off to our next event, which we were very much looking forward to. Right, as much as I want to keep these travel-logs upbeat and positive, this section can’t start without a bit of a rant. Sorry, won’t be a minute! 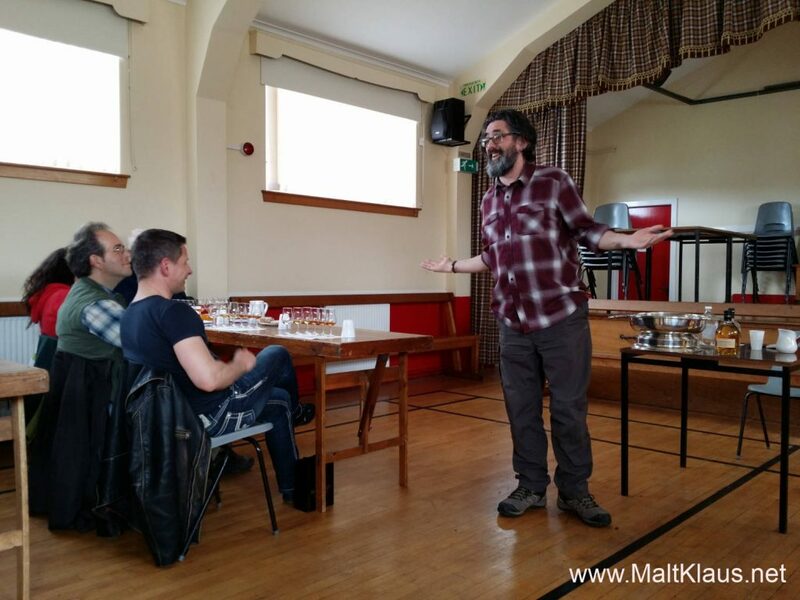 When we booked the whisky tasting with Dave Broom (not his fault at all, I need to add! ), the description also stated that there would be a distillery tour of Benrinnes prior to the tasting, which was one of the reasons for many people to book the tasting, including quite a lot of whisky bloggers like myself, who wanted to see the distillery, which is usually closed to the public. Well, the distillery tour didn’t happen, apparently (so we were told) Diageo didn’t find anyone to show us around the premises. We didn’t even get a cancellation or any official notice of the distillery tour not taking place, we had to go through back channels and personal contacts with the #dram16 festival administration to find out what was going on. Not fun, not cool, a lot of disappointed faces. Right, rant over, moving on. Anyone who has ever been to a Dave Broom tasting knows what delightful events they are. 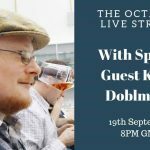 Dave is a walking whisky encyclopedia, a modest man and great storyteller. He did a wonderful job of guiding us through the six drams (mostly nosing for me, again, since I was still driving). My personal favourite and a bit of a surprise was the Benrinnes, quite Mortlach-ey in style, beefy, big and sweet. That was a good dram. In fact, I already reviewed the sample I took away from the tasting. 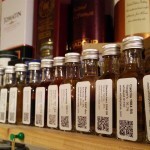 The whole event was like a big #whiskyfabric meetup – everybody who’s anybody showed up. We had a great time including a few hilarious moments – especially when two ladies in our group loudly proclaimed they disliked the Dalmunach new make, sitting right behind Alan Winchester… He was a good sport about it! 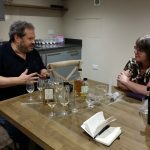 The last event on our way back home was the official launch of Martine Nouet’s book “a table” – a book filled with recipes including whisky as an ingredient. 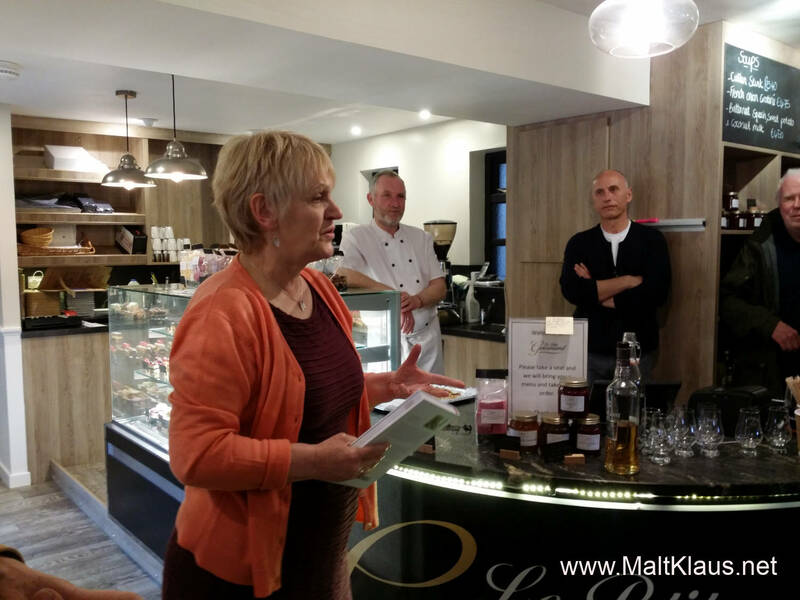 The event took place in the “Le Petit Gourmand” in Aberlour, and we showed up to support Martine (and buy the book, of course). Great people – great food – great fun, what else can I say other than buy her book if you like to cook as much as you like your whisky. No, I’m not getting commission, I swear! All of that food and whisky talk made us hungry again, so this evening it was time for me and my brother to cook back at the cottage – traditional Austrian style meat-filled dumplings with taters and Sauerkraut. That definitely made up for the missed breakfast!